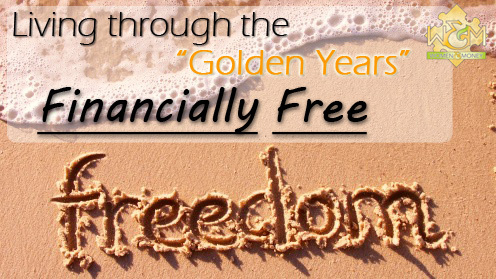 Everyone dreams of financial freedom, whether that means early retirement, a worry-free retirement or simply enjoying working while being free from debt and able to afford life’s pleasures and adventures. Take the steps toward becoming financially free by applying these top ten money saving tips to your everyday life, and read our guide on budgeting. We all remember the saying “a penny saved is a penny earned.” However, with the debt-to-income ratio at an all-time high of 165.0 percent and households carrying an average credit card balance of $27350 this saying might seem a little outdated. N. is for necessary, therefore needs are items essential to living – rent, electric bill, prescriptions, groceries, etc. W. is for wonderful; therefore want items are items that enhance our life – vacations, eating-out, spoiling our kids and grandchildren. Remember, the more money you save on everyday purchases, the more change you can put away in savings for yourself. Every Province has laws allowing pharmacists to substitute name brand drugs with equivalent generic drugs. Next time you go to the doctor, ask if there is a generic version of your medication you could be prescribed. At the grocery store, try as many store-brand products as you can to see if it stacks up to the national brand equivalents, and hopefully you’ll find many items that are just as good (or better) that are actually cheaper, and can save you quite a bit of money in the long run. On that note – be sure to compare all prices per unit at the store to make sure you’re getting the best deal. 4. When not in use – Turn it off! Hundreds of dollars can be saved every year if you learn to shut off the lights and electronics, or turn off the water when you’re not using it. 5. Participate in free activities. The majority of cities offer free programs to senior citizens throughout the year. Not only will you meet new people, but you can also save money. 6. Monitor all cash withdrawals carefully. Monitor all cash withdraws. Next time you go out, take a notebook and write down the amount for all your purchases. Reduce bank fees by reducing the times you use your bank account. Ask yourself do you always pick up the tab for friends? By addressing where the money is going, you can better determine ways to save. 7. Use up what you have in the pantry. Spread out your grocery store trips, decrease your dining out and avoid throwing out old food by rummaging through your pantry. You may be surprised by all the meals you can make with the ingredients sitting in your pantry. Throw a party to see which guest can make the most creative pantry dish, and store the leftovers in the freezer. It is fun and you will save money. Cut your dryer sheets in half, or use only a half-cup of detergent. Find ways you can reduce consumption and stretch that dollar further. Make sure you return all your bottles and cans for your deposit. Take any old materials of value to your local recycling centre and put the cash you make directly into savings. Find ways to reuse materials and containers to avoid buying disposable items or expensive new items. 10. Take advantage of Senior Discounts Days. Take advantage of senior citizen discounts. Discounts are often available to senior citizens on a variety of activities including sporting events, bus far, airfare, concert tickets, etc. Remember, it never hurts to ask. Why Should I Create a Budget? A budget is simply an organized way of managing your income and expenses on a monthly basis. Although it might mean changing your spending habits and lifestyle, budgeting is the key to financial control and success. Keep your budget flexible. Life is constantly changing, and so is your income and expenses. Keep it simple. Nothing will have you running out the door faster than a complicated budget. Be honest. Don’t say you have the money you know you don’t have. Be honest about your expenses and constantly look for ways to reduce them. Keep accurate records. Budgeting requires that you look through expenses over the last several months to determine an average. Therefore, keep track of all bills in a well-organized filing system. Budget for the unexpected. Life is full of surprises and emergencies – make sure you budget for them. Be sure to check out our free Budget Worksheet download to get you started! Use these helpful tips and you will be glad you did! This entry was posted in Blog, Retirement. Bookmark the permalink. Both comments and trackbacks are currently closed.